Entering Granada by bus we looked out the windows to see a colonial city with multicolored buildings, clay tiled or tin covered roofs and windows and doors behind distinctive, decorative grillwork. 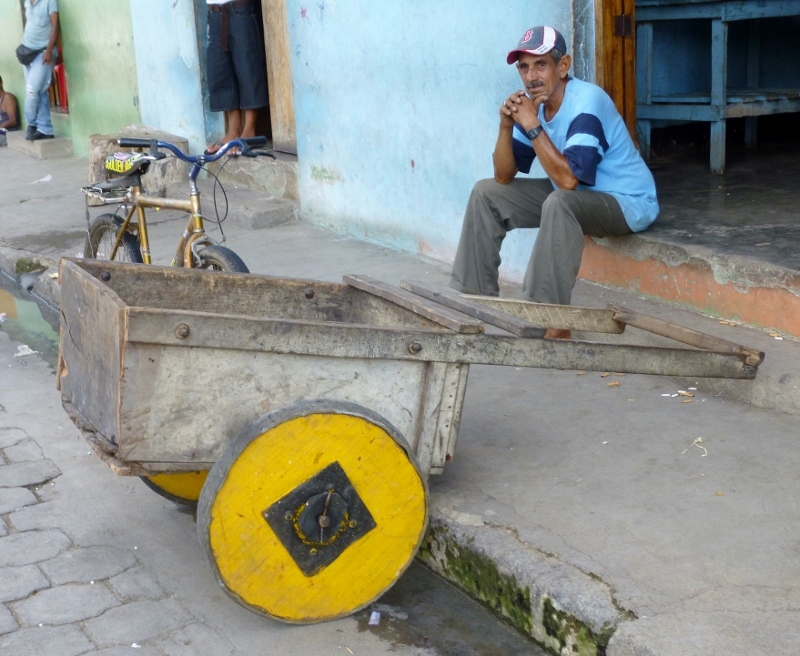 The streets were clean and overall there was a feeling of purposeful energy that seemed to be missing from its tired neighbor, Leon. 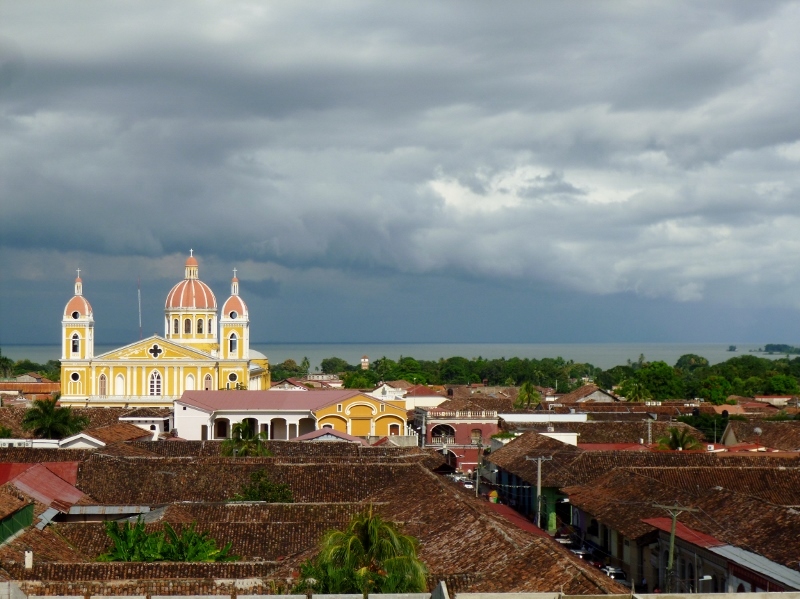 Granted, unlike Leon, Granada had emerged unscathed (physically, at least) from the devastation caused by the civil war. Another important factor has been the influx of foreign aid which began in 1990 to restore, refurbish and preserve this historic city. The charm of the city draws tourists from all over the world and there is a sizable community of expats who have decided to make Granada their home. In turn, the money from the tourists helps fuel the relative prosperity, in contrast to the rest of the country. While Granada is a relatively affluent city it still resides in a poor Latino nation; the duality is never far from the surface. 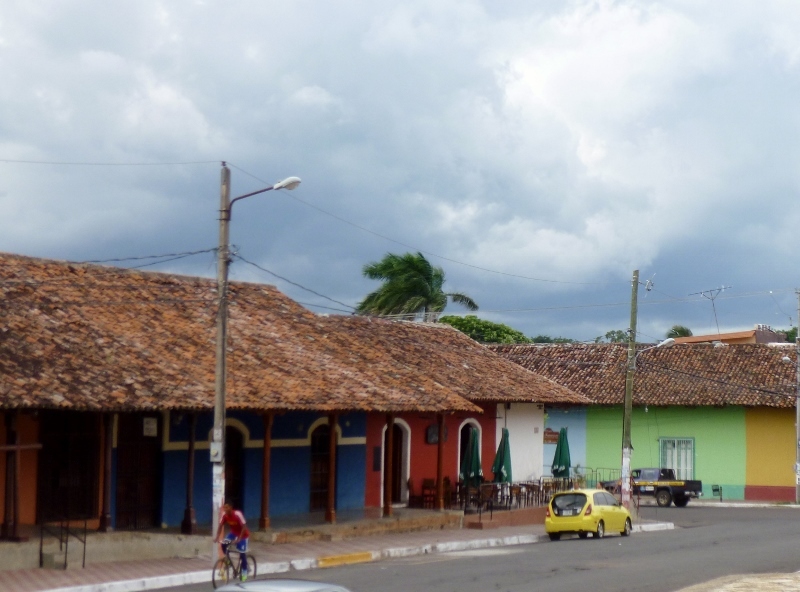 The churches and cathedrals, the parks and the city center all wear new paint and stucco and tiles; the restaurants vie for cordobas with varied menus, the horse-drawn cabs stand spit-shined with the horses well-groomed. But wander into the streets in the early morning or walk the barrios away from the city center and the flip side slips through the filter. 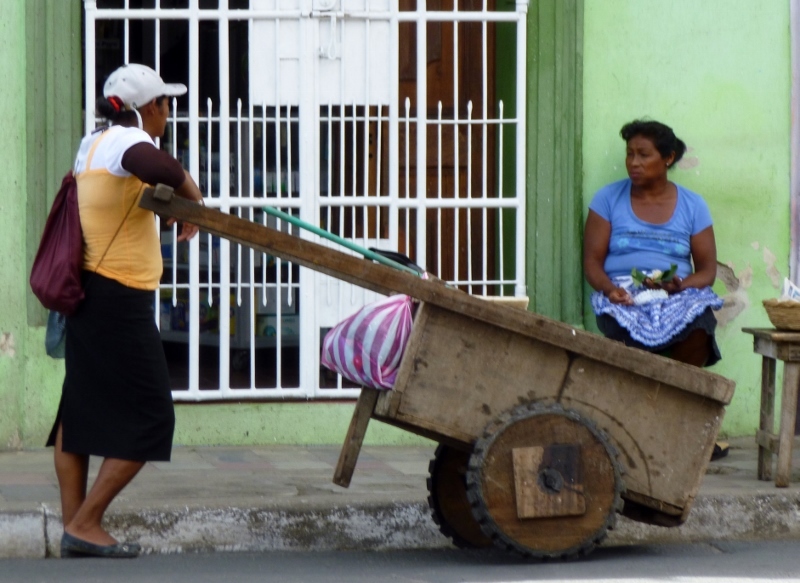 Here you find the use of human power to push and pull carts, to clean city streets, to construct major buildings. It is the face of the country. 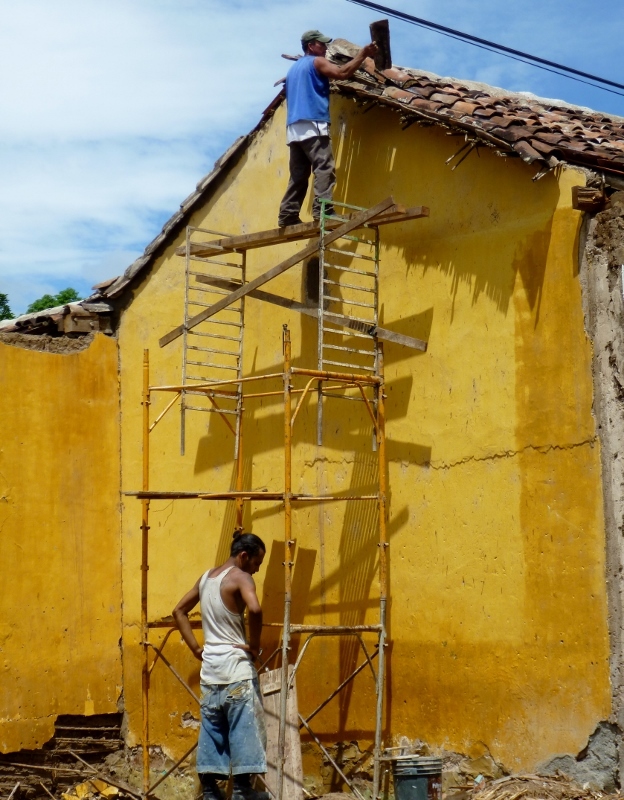 It is a reality that underlies much of the beauty and charm through which we travel. 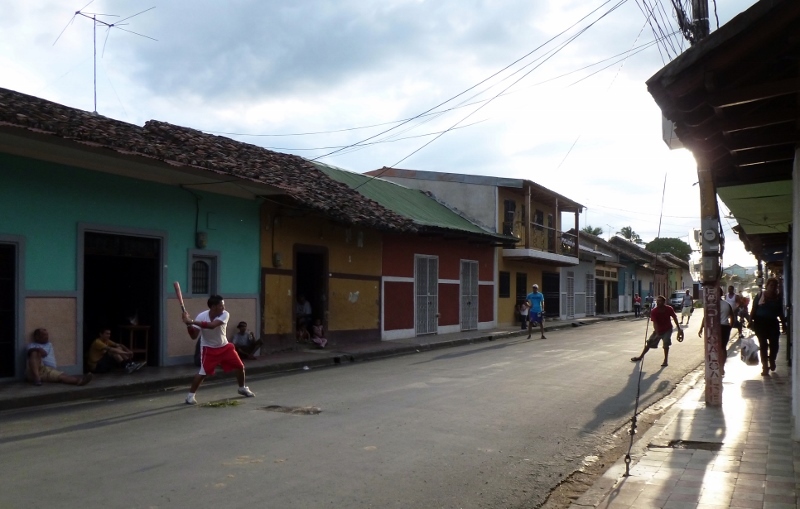 For entertainment, baseball seems to be a popular sport and after a Sunday walk to the shores of Lake Nicaragua we happened upon a ballpark set up with four diamonds for intramural play among city leagues. The games were quite spirited with a crowd, both in the stands and on the adjacent sidewalks, ready to loudly heckle any errors or disputed calls. Pick-up ball games are also regular features on the streets in the city itself as vehicle traffic can be worked around in the interest of a game of work-up or five man sides. 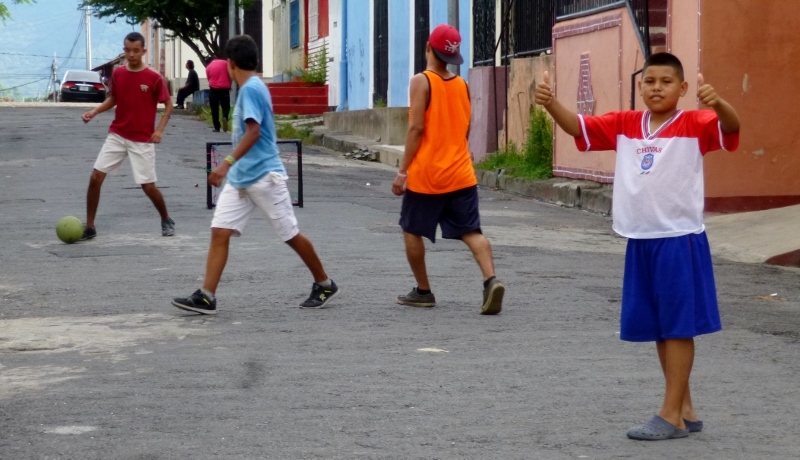 Of course, futbol or soccer is common as this is a Latin American nation and soccer fields dot the city barrios and kids block off streets to play the game. On one particular street there is even a basketball hoop cemented into the sidewalk for a pickup game. And the streets come alive in the evenings when the day’s heat abates following the afternoon rain; there may even be a cooling breeze. People take an evening stroll or sit on their stoops. Many times household chairs will be brought out to the sidewalk for a more comfortable resting place to watch the traffic, exchange a “buenas noches” with neighbors and other passersby and chat amiably with each other. Many times the doors to the homes will be open offering a glimpse into other families and lives. It seems to be such an old-fashioned, pleasant, enjoyable pastime: celebrating a day’s work done, talking to family and participating in a neighborhood ritual. Thanks Jim. It makes it much more fun (and less like work!) to put a post together when we know that people want to read what we write and find our stories interesting. I’m finding that we approach each experience with more awareness and attention to the details when we know we might want to write about it!